All Saints’ Day – In memory of our loved ones that have passed away. 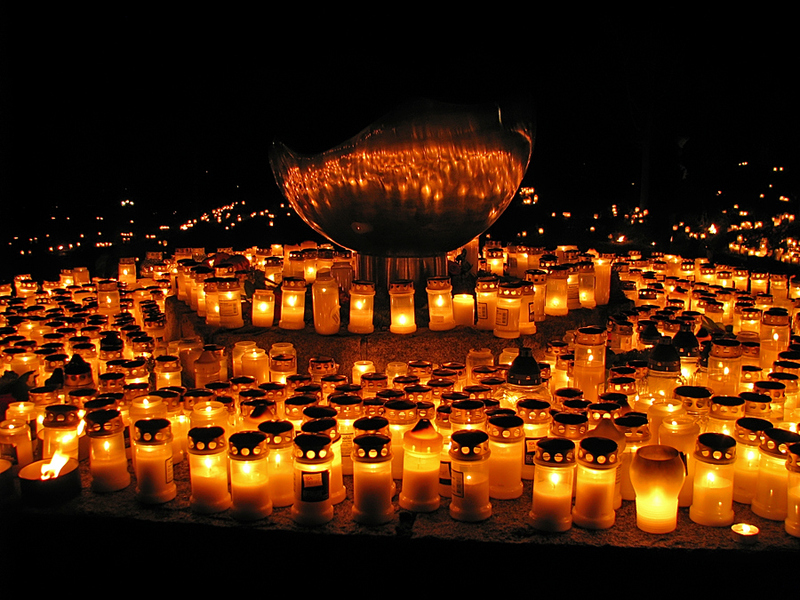 In Sweden the All Saints’ Day is a floating holiday, which falls on a Saturday, during the period of October 31 to November 6. Originally the day was a solid holiday on November 1st. What a lovely image. I can imagine being there in person, the floating candles would induce some strong emotions. Really quite lovely. This is pretty charming spectacle! What a beautiful shot and a beautiful way to remember those you love. fabulous light and colour there, especially in the reflections in whatever that thing is in the middle! Lovely lights. Feels like a view of a city from overhead. Cool. oerhört stämningsfullt! jag tänker på de jag har där! & inte kunde tända vårt ljus, fint att se! WoW! Nice moment. Very nice. Vilken otroligt vacker bild. Jättefin tolkning. Jättevacker bild! Taget runt Alla helgona kanske? Wow … Wow. Snacka om belysning! Tjusigt. Ord är onödiga, fantastiskt vackert! Wonderful depth in the image, superb details and really impressive lighting! An amazing exposure..A beautiful composition..bravo! Beautiful golden points of light! Love the reflection and memorial. What a beautiful way to capture this meaningful event, Frida. I especially like the reflection! A powerful and moving image. Fabulous lights and perfect exposure to capture them so perfectly. Wow, so many candles. Really beautiful atmosphere and picture. This is a beautiful capture! A beautiful shot of this commemorate collection of candles. The overall effect is very strong. Well done. What a powerfully silent significance this has . . I think it a wonderful tradition and very touching. I admit I\'ve only heard of the holiday and didn\'t know what it was. This is remarkable and it\'s wonderful to remember our loved ones. what a beautiful way to commemorate and remember loved ones.